When I search my email inbox for “Grammy,” hundreds of results surface. Not because my Grammy was an avid emailer, but because my family wrote about her…a lot. Sometimes we wrote out of worry because she was declining – Is this the end? Sometimes we forwarded flight itineraries – I’m off to Tucson to visit Grammy! Always, without fail, we wrote about Grammy because we love her. It had been almost a year and a half since I’d last visited Grammy, so a few weeks ago I booked a last-minute flight. She had been fading for a while, but never ceased to amaze us with her endurance and strength and regal spirit. Grammy’s mind was old but it was still pretty sharp, her heart was strong, but her body was a thing of delicate devastation. She suffered from acute osteoporosis and arthritis, and her bones were incredibly fragile. Grammy’s hands, in particular, were a marvel. They were so gnarled, wrapped in paper-thin skin with small brown spots and blue ribbon veins. She could barely hold a pen, but she could hold my hand with a mighty grip. 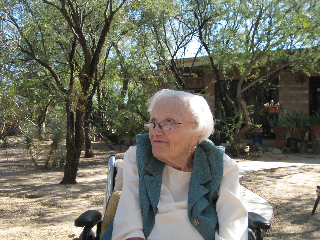 When I left Tucson a few weekends ago, driving away from Grammy’s room on a desert dirt road, I hoped that I wouldn’t see her again. She was so compromised. She could barely hold a conversation. She seemed so tired. It was no way to live. I hoped Grammy would let go. 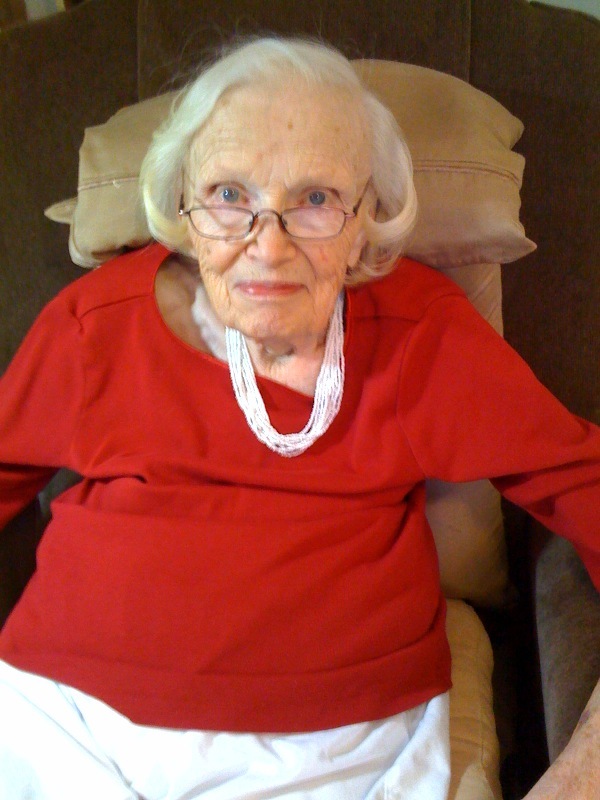 And, on Wednesday afternoon, after almost 93 years of life in this world, she finally did. With her three daughters at her bedside, Grammy let go with love. If I were to name three things that Grammy liked most, excluding her family and friends, I would bet on: Obama, cleanliness, and birds (not necessarily in that order). Grammy had a bird feeder outside of her window that attracted a steady stream of hummingbirds. She would observe them from her chair, fueling up on sugar water in the hot, desert sun. Pom, a huge hummingbird admirer herself, would provide her with hummingbird facts: An Anna’s hummingbird weighs .25 ounces. A quarter of an ounce is equivalent to one and a half TEASPOONS. There are 3 teaspoons in a tablespoon. A tablespoon is two hummingbirds! Can you believe it? 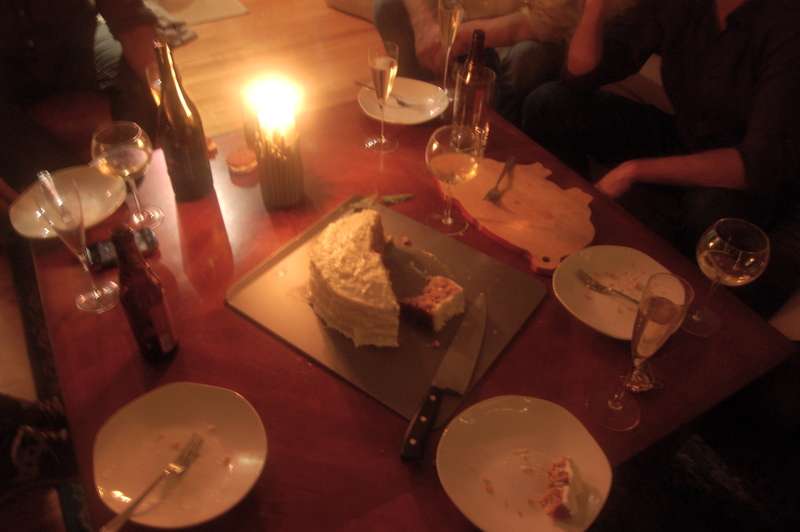 Grammy also happened to love Hummingbird Cake. True, the name could have swayed her, but it was one of her regular, special occasion requests and it is downright delicious. My Aunt Cary gave me the Mrs. Wiggins’ Hummingbird Cake recipe years ago, after she’d made it for Grammy the weekend I was in town. I finally baked it for friends a few weeks ago. It is a crowd-pleaser. There’s no getting around it. It’s the perfect balance of not-too-sweet comfort. It looks classic, but beneath the frosting and amidst the layers, it’s startlingly complex. Of course Grammy loved it. Combine first 5 ingredients in a large mixing bowl. Add eggs and oil, stirring until dry ingredients are moistened. DO NOT BEAT. Stir in vanilla, pineapple, 1 cup pecans, and bananas. Combine cream cheese and butter, beating until smooth. Add powdered sugar and vanilla. Beat until light and fluffy. 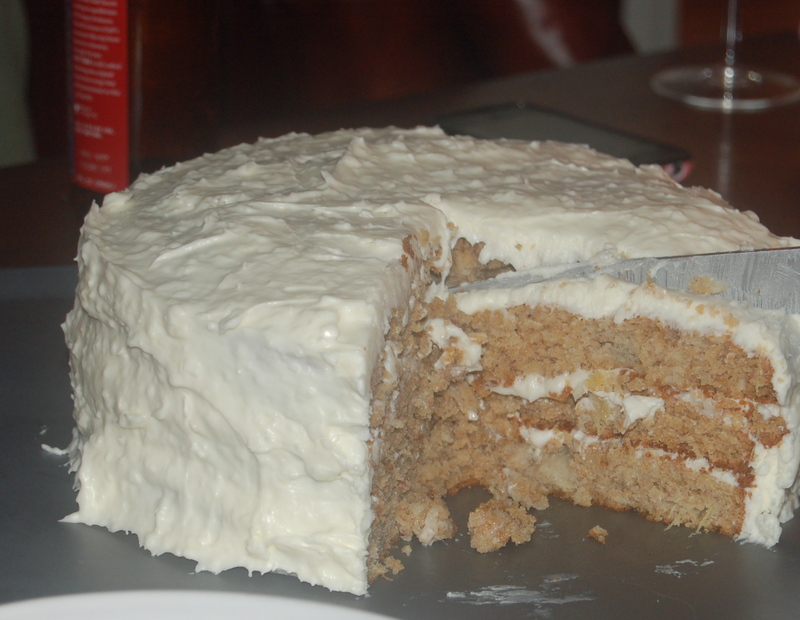 Spread frosting between layers and on top and sides of cake. Makes one delicious 3-layer cake. This is a wonderful tribute. Thank you, Anno. I love you and Grammy with all my heart and even more. sweet and sweet. nice words and lovely sentiment. i’m so glad you made your trip there.